The report comes three months after the two nations held military exercises on Venezuelan soil that President Nicolas Maduro called a sign of strengthening relations, but which Washington, who has backed an attempt to seize power by opposition leader Juan Guaido, criticized as Russian encroachment in the region. 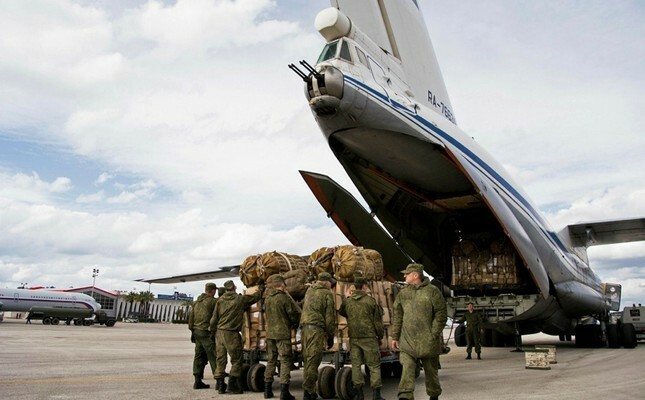 Reporter Javier Mayorca wrote on Twitter on Saturday that the first plane carried Vasily Tonkoshkurov, chief of staff of the ground forces, adding that the second was a cargo plane carrying 35 tons of material. Venezuela in February had blocked a convoy carrying humanitarian aid for the crisis-stricken country that was coordinated with Guaido's team, including supplies provided by the United States, from entering via the border with Colombia.